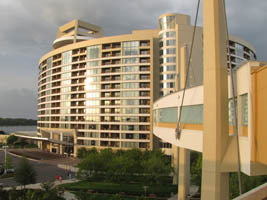 We were invited to the Bay Lake Tower at Disney’s Contemporary Resort by friends to enjoy an evening at the Top of the World Lounge. 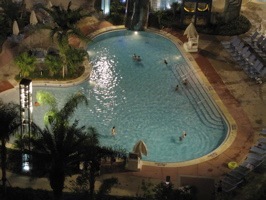 I’d spent some time last year taking photos and video of the resort prior to opening, but had not yet been inside. 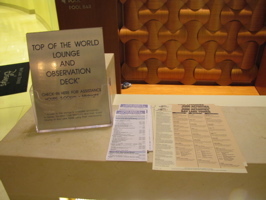 In the lobby, there is an area set up for a cast member to assist guests who want to go up to the lounge and observation deck (below, right). 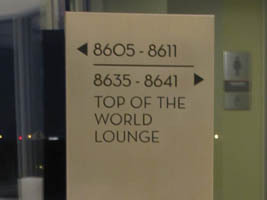 A sign points the way to the Top of the World (below, left). 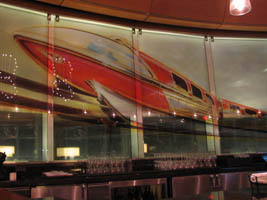 This beautiful artwork (below, right) of two Mark 1 monorails by John Hench is the same print I have in my office. 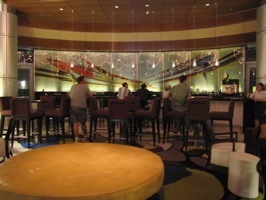 It is easiest seen when the curtain is drawn in the lounge. 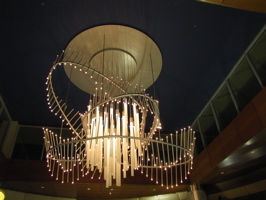 This gorgeous chandelier (below, left) is one of the focal points of the room. 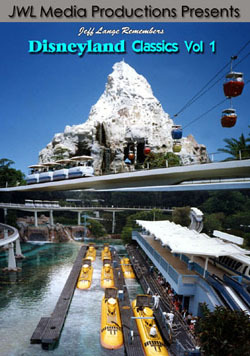 A closer look of the John Hench monorail crossing (below, right) also shows the reflection of the chandelier. 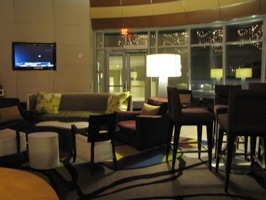 There was plenty of lounge seating (below left and right) for all the guests who were there the evening we went. 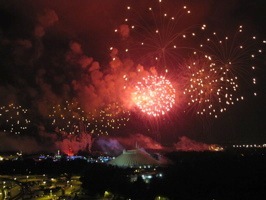 In the picture at the right, you can see the tip of Cinderella Castle. 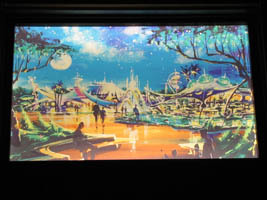 There is a small room that can be made private that has back lit concept art from Tomorrowland. 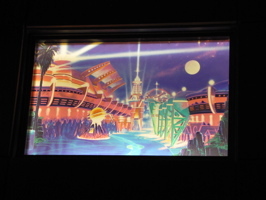 Nighttime on the Avenue of the Planets by Steve Anderson (below, left) shows Tomorrowland after it’s 1994 renovation. 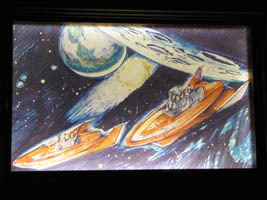 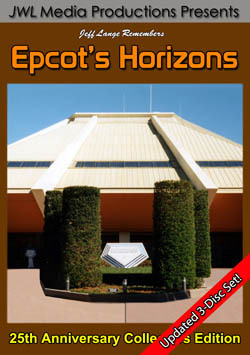 Early Space Mountain concept art by John Hench (below, right) also is part of the 8 picture set. 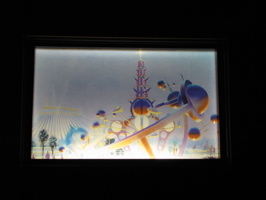 Steve Anderson also created this artwork of the Astro-Orbitor (below, left), which opened when the new Tomorrowland premiered in 1994. 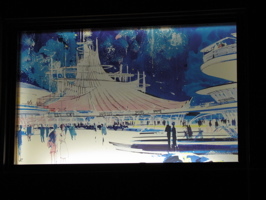 The Space Mountain concept art (below, left) is supposed to be from 1965. 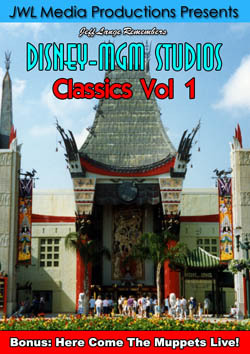 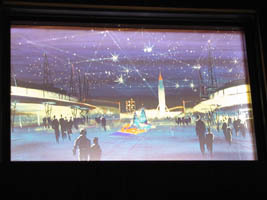 Herb Ryman created the concept art of the Moonliner (below, right). 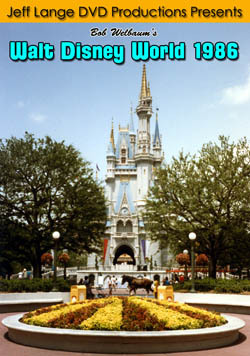 It’s called “Tomorrowland Entrance” from 1954. 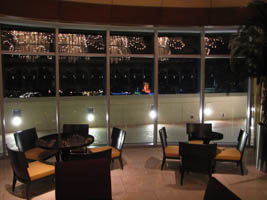 Bonus Video – Walt Disney World, Bay Lake Tower, Top of the World – 6/7/2010 – This is a short video showing the inside of the Top of the World at the Walt Disney World Bay Lake Tower. 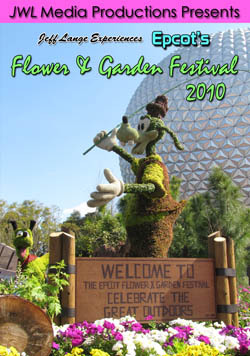 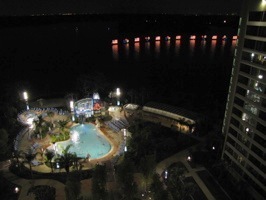 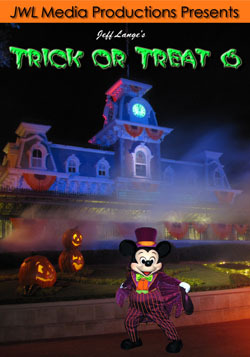 This is a DVC resort and only members staying in the Bay Lake Tower (plus their guests) can visit. 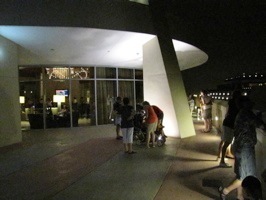 The observation deck was not too busy when we arrived (and even when the fireworks went off). 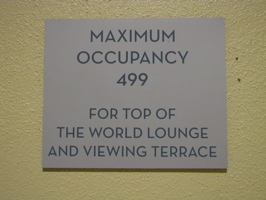 The capacity says 499, but I think it’d be very tight with that many people! 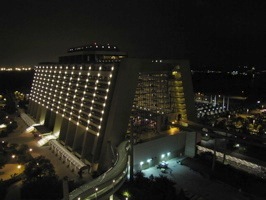 Everyone on the night we went had a great view all around, including of the Contemporary Resort main building (below, right). 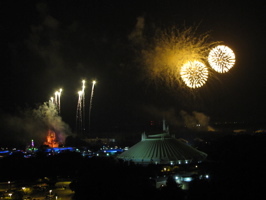 The view of the fireworks was spectacular, I always enjoy watching from different angles – you can see how much of it actually occurs behind Space Mountain, with a small amount of pyro at the castle (below left and right). 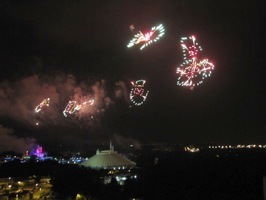 A variety of shapes (below, left) illuminate the night sky. 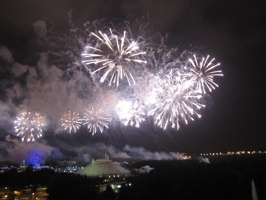 There are several times when perimeter fireworks are part of the display (below, right). 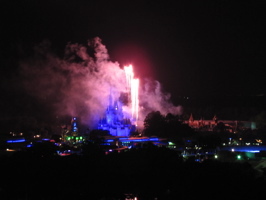 Another look at the amazing perimeter fireworks (below, left) on the new Summer Nightastic Fireworks Show – which are very similar to Magic, Music and Mayhem from the former Pirates and Princess Party. 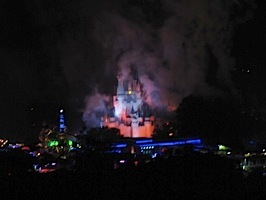 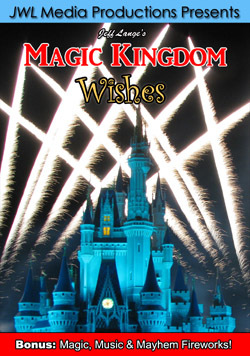 The leftover smoke from the fireworks (below, right) casts an eerie spell around the castle. 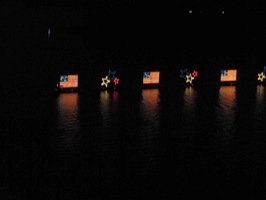 One of my favorite parts of the evening was getting to see the Electric Water Pageant (below left and right) from the observation deck! 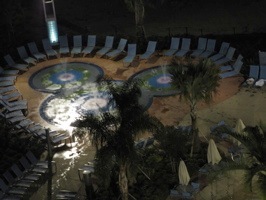 A fun looking Mickey Mouse shaped fountain (below, left) and the pool (below, right) are seen from above. 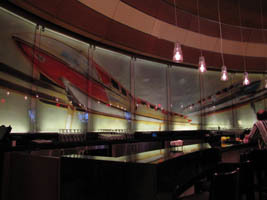 Another view of the John Hench concept art behind the bar (below, left) and the maximum occupancy sign (below, right). 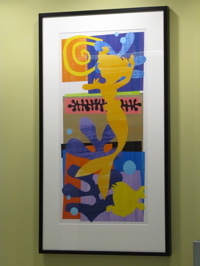 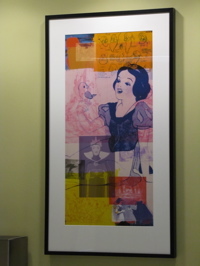 On each floor, there is a piece of artwork that includes at least one Disney character in front of the elevator. 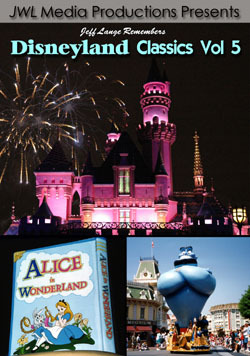 Snow White (below, left) and Ariel from the Little Mermaid (below, right) are two characters that make appearances! 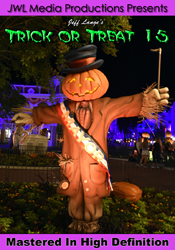 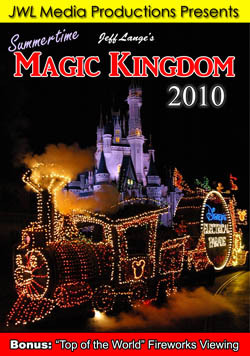 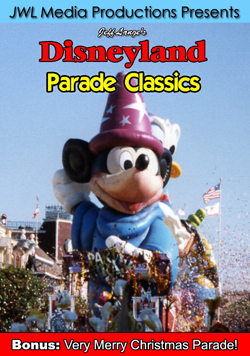 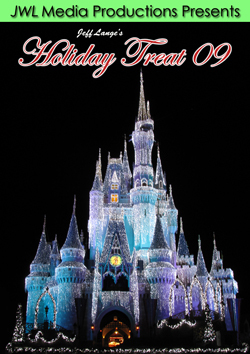 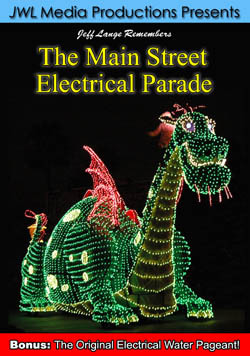 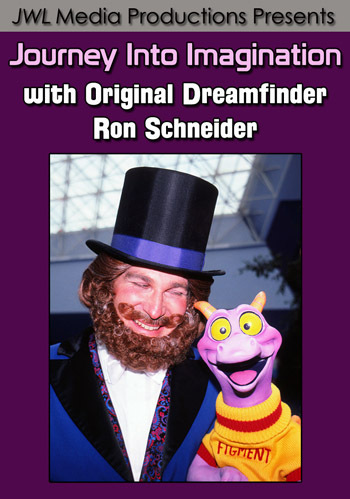 Jeff Lange Remembers: The Main Street Electrical Parade!